Handmade Devon soap scented with Patchouli & Orange essentail oils. This Handmade Devon Soap is scented with Patchouli and Orange essential oil. It can be bought individually or as part of the soap bundle or a gift set. Essential oils : Patchouli (Pogostemon Patchouli), Orange (Citrus Sinensis), Calendula petals (Calendula officinialis), Citral*, Limonene* & Linalool*. Patchouli has a long history of use in traditional medicine in China and many believe that the smell itself is quite oriental. Others find it acts as an aphrodisiac! The oil encourages skin regeneration, along with acting as an antiseptic. It is also believed to act as as an anti depressant. Orange essential oil is another uplifting oil hence the name ‘Happy Days’. 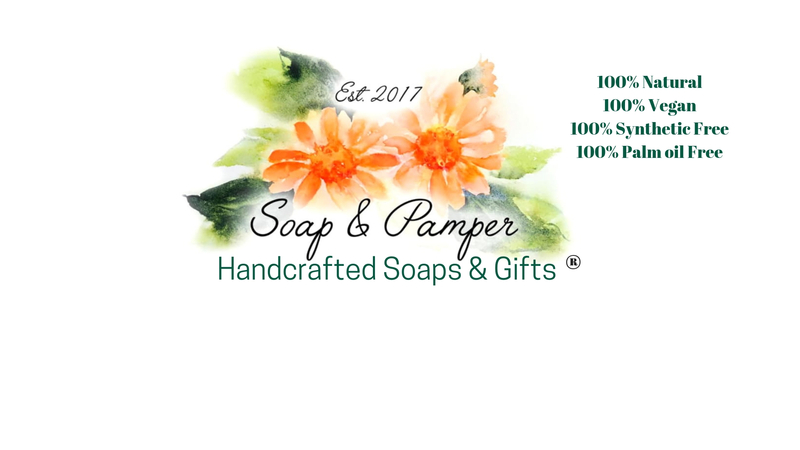 Each soap is cut by hand and is a minimum weight of 65g. In reality they are usually much larger! This handmade Devon soap can also be bought in a gift set or part of the soap bundle offer!